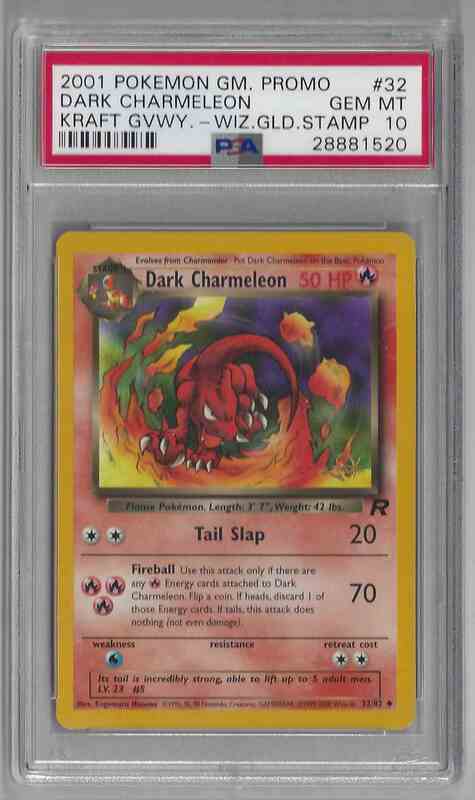 This is a Pokemon trading card of Dark Charmeleon. 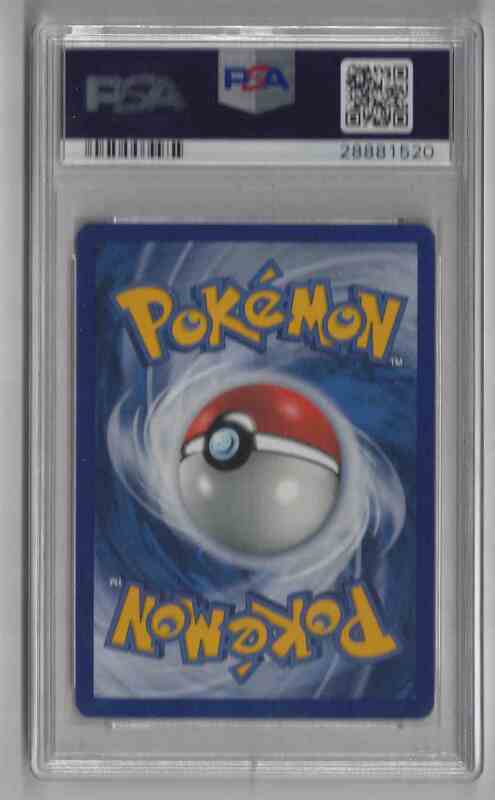 It comes from the 2001 Pokemon Gm Promo Rocket set, card number 32, serial numbered 28881520. It is graded 10.0 by PSA. W Gold Stamp. It is for sale at a price of $ 125.00. Approximate size based on scanned front picture: 5¼" x 3"
Welcome to Crazykidshobbies trading cards store. I opened Crazykid's Hobbies on Monday, February 5, 2018 and I have 139 cards for sale. Please note that I ship from USA.